A study published earlier this year shows that dental benefits decrease the incidence of emergency room visits. Without dental benefits, more adults end up in the emergency room, found a study published in the May 2015 issue of the journal Health Affairs. Researchers examined the effects of removing adult dental benefits from California’s Medicaid program. They found emergency room visits for dental problems increased by 33 percent, or by about 1,800 per year under the Medicaid program. That translated into an inflation-adjusted increase of 68 percent in emergency room costs for dental care. People without dental benefits are less likely to have tooth-saving and restorative procedures (fillings, crowns, root canals) than those with benefits, but more likely to have extractions and dentures. Unfortunately, oral health conditions can progress rapidly without treatment. Most adults show signs of periodontal or gingival (gum) diseases, with about 14 percent of those aged 45 to 54 having “severe” periodontal disease. Many systemic diseases and conditions have oral manifestations. These manifestations may be the first sign of clinical disease. 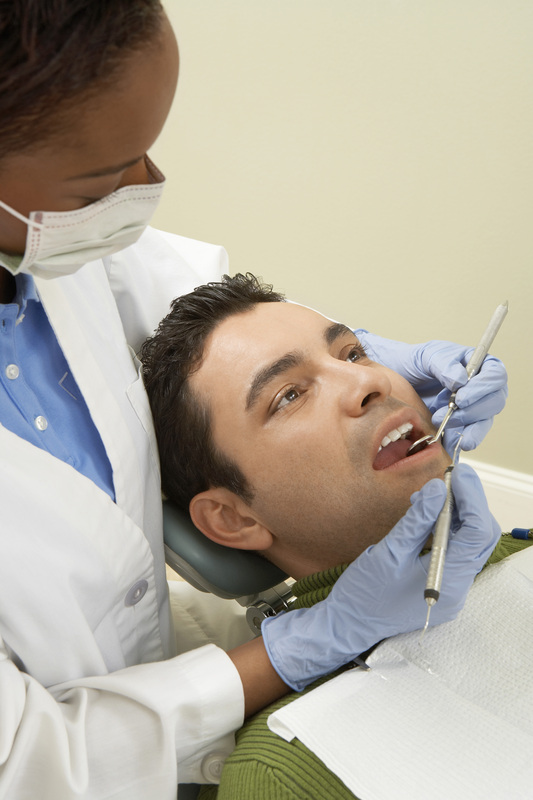 Regular dental check-ups can help detect these conditions for earlier treatment. The mouth is a portal of entry as well as the site of disease for microbial infections that affect general health status. Periodontal (gum) diseases have been associated with other conditions, including diabetes, cardiovascular disease, stroke, and adverse pregnancy outcomes.